If you’re looking to jet around Europe without breaking the bank (but still in relative comfort), Brussels Airlines is a great option. Their European network is extensive and they often run flash sales. 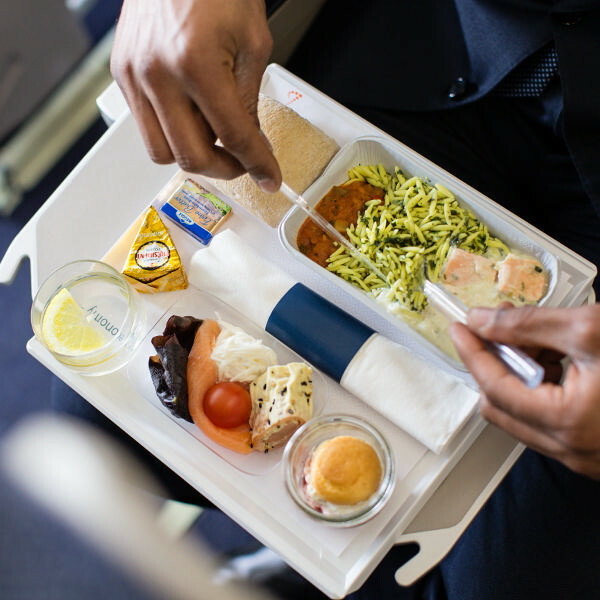 The food served on board is definitely a step up from most airline meals, and best of all is that you can wash it down with an authentic Belgian beer. Firstly, you stand the chance of flying on a funky aircraft with Tintin designs all over it! And even if you aren’t that lucky, Brussels Airlines has a reputation for being fun, while delivering excellent service! As the largest airline in Belgium that is now owned by Lufthansa, it is no doubt that Brussels Airlines is one of the leading airlines in the world. Established in 2002, Brussels Airlines is a relatively young carrier, but one with a wide reach, flying to a variety of destinations in Europe, Africa and the USA. 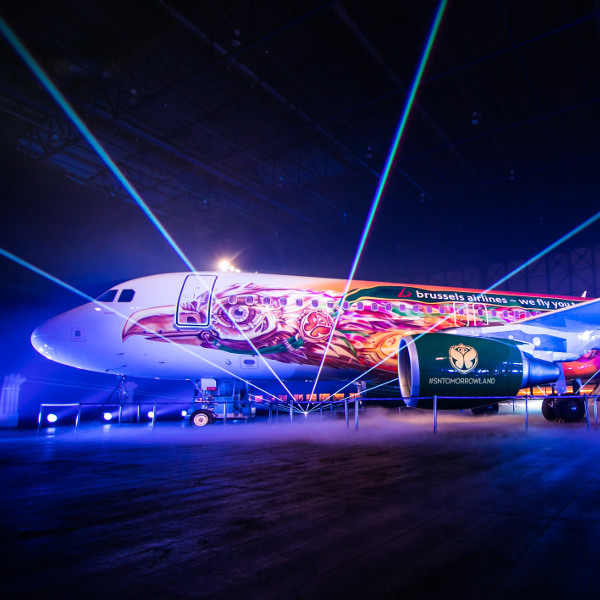 They operate a fleet of 49 aircraft, one of which carries a special livery dedicated to well-loved Belgian cartoon character, Tintin, as well as designated aircraft for the music festival held annually in Belgium, Tomorrowland. Brussels Airlines operates about 300 flights a day to over 90 European and African destinations, as well as two USA routes. 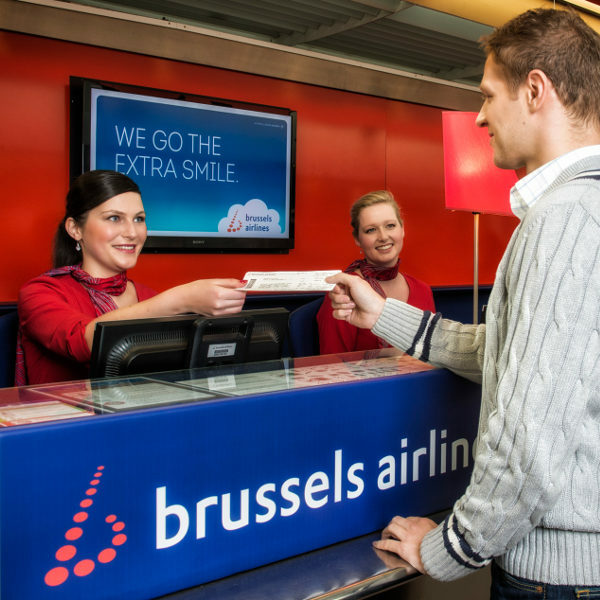 Book Brussels Airlines flights to Brussels, Stockholm, Athens and other exciting destinations! Light & Relax – Passengers are allowed one piece of checked luggage weighing up to 23kg free of charge. Flex & Fast – Passengers are allowed one piece of checked luggage weighing up to 23kg free of charge. Bizz & Class – Passengers are allowed two pieces of checked luggage weighing up to 32kg each free of charge. Economy Class – Passengers are allowed two pieces of checked luggage weighing up to 23kg each free of charge. Business Class – Passengers are allowed two pieces of checked luggage weighing up to 32kg each free of charge. There are four different check in options for most Brussels Airlines flights: online, mobile, express and at the counter. Brussels Airlines online and mobile check-in opens 24 hours before and closes 1 hour before the scheduled departure time of your flight. While some airports are equipped with mobile boarding pass scanning systems, it is a good idea to make a printout of your boarding pass. The Express Check-in kiosk is available at Brussels Airport for all European flights. If you’re checking in at the counter, be sure to arrive at least an hour before your regional flight, 70 minutes before any flight departing to/from Africa and 90 minutes before any flights departing to or from the US/Canada. Passengers are required to have an up-to-date identification document, passport as well as additional travel documents such as visas (if necessary). Brussels Airlines’ main hub is located at Brussels Airport and they fly to 90 destinations across Europe and Africa, as well as two in the US/Canada.